The bright lime green wallpaper is a dead give-away, it’s the 1970s and we’re on the other side of yesterday’s door. Welcome inside our home in Farm Hill, Woodingdean. 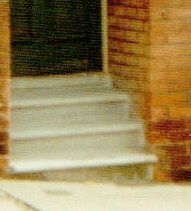 This is the hall, you can see the stairs on the left that lead upstairs. 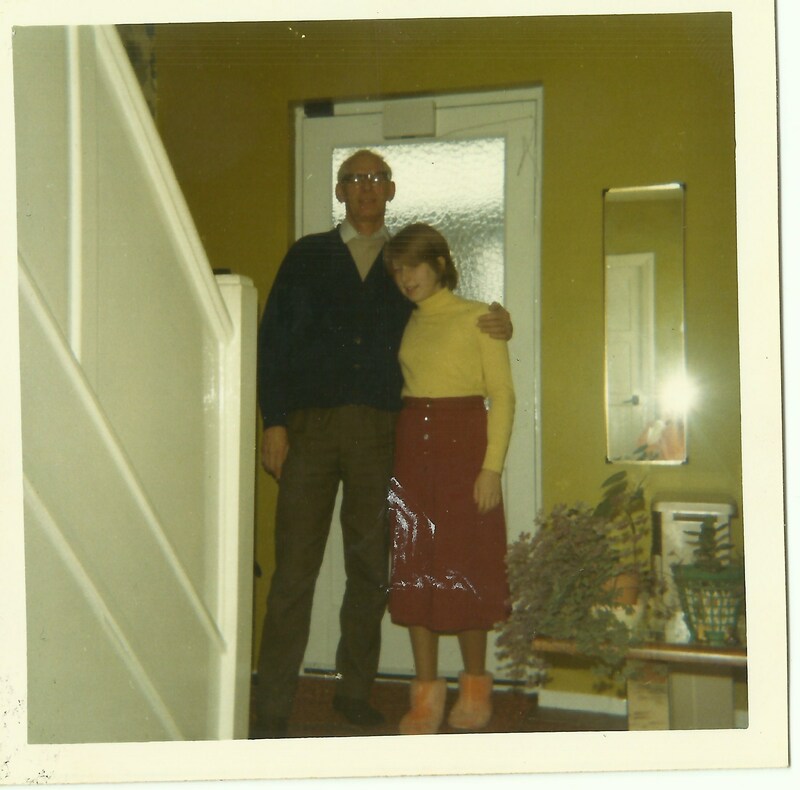 Here I am with my dad, Gordon Charles Dinnis during the Christmas holidays in 1970. The front door is behind us, and in the mirror to the right you can see another door! This is the door to the kitchen. If you look really closely you can see the flash of the camera and my mum in her orange overall taking the photo! You can also see my delightful fluffy orange boot slippers which I’m guessing were a Christmas present. The table on the right has a few house plants on it, Mum was very good at looking after plants and flowers. This entry was posted in DINNIS, Gordon Charles Dinnis, jackiedinnis and tagged Advent, advent calendar, Farm Hill, Woodingdean. Bookmark the permalink.